Some believe the proposed Economic and Technical Cooperation Agreement (ETCA) with India is a watershed moment for the one-year-old coalition government and Sri Lanka’s economic future. Others envisage ETCA as the Waterloo of the Sirisena-Wickremesinghe government. The Opposition in the country has mounted against the trade deal that proposed to open trade in services between the two countries. The odd silence of the organs of the government negotiating ETCA has given fertile ground to breed bizarre conspiracy theories. But an objective analysis into the whole matter shows some fears are justifiable, provided the lack of information on the trade deal in the public space. 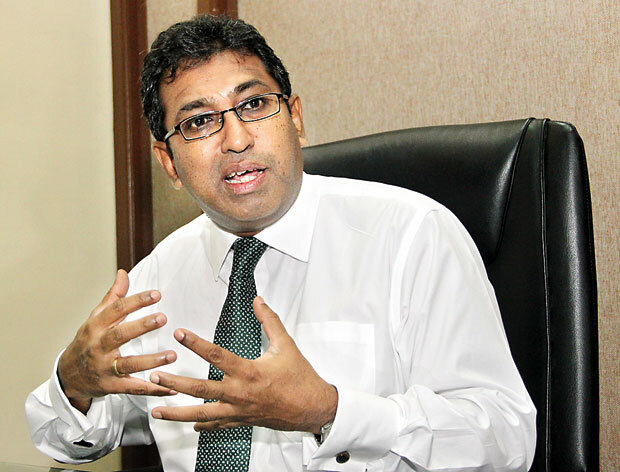 In this backdrop, Daily Mirror talked to Foreign Affairs Deputy Minister Dr.Harsha de Silva, who is a trained economist by profession, to shed some light into the topic. Q I think everybody agrees that Sri Lanka needs to open up and get rid of the protectionist shackles. But why are we trying to do that through contentious bilateral arrangements like ETCA instead of doing the liberalization unilaterally, like what the UNP government did in 1978? There are a couple of things here. I was in conversation with the New Zealand Prime Minister and his visiting delegation the other day. New Zealand has joined the TPP (Trans Pacific Partnership). To do unilateral trade liberalization is difficult. Trade liberalization can be done if we can show people the benefits post liberalization—basically the positive results originating from that liberalization. Then it is easy. You can justify liberalization when you see some light at the end of the tunnel. While I completely agree with you that unilateral liberalization is the ideal situation; on the ground, politically, this becomes a difficult thing to do. If we can show here are the benefits, then we can go ahead with liberalization. "I am not doing it as Harsha de Silva. I am doing it as a member of the Sirisena-Wickremesinghe government. So we are open; we are all professionals; we all want to do well. We will not put professionals in trouble. Take my word. We will not enter into agreements that put the livelihoods of our professionals in danger. Professionals do not fear. I am also a professional"
Q Some critics of ETCA identify it as an act of reciprocity— Port City to China and ETCA to India. Is this the case? Absolutely no. Whatsoever! The main objective of this government’s economic policy is to link Sri Lanka with rest of the world. We must understand that Sri Lanka is a small market and the only way we can create good, high-paying jobs, is if we create larger markets. The European market was a good opportunity for us. The increase in apparel exports to Europe was significant. But because of the previous government’s various issuers, we lost the GSP Plus. So getting the GSP+ back is a priority for us so we can benefit from that European market. In the same way, if you look at India, that country is growing. There will be no doubt that in the next 30 to 40 years, the Indian middle class is going to be very strong and economically lucrative. So we need to tap into that market. China is important to us too. That is why we going to do a trade agreement with China. Singapore, perhaps even Japan now we are talking about. Our thinking is linking Sri Lanka to the world. There is no element of reciprocity in this whole exercise. Let’s say if we are going to do a trade deal with China, how are we going to justify it. Somebody will then accuse us of giving everything to China. But let me tell you we will do a trade deal with China also. Q I think the sore point associated with the ETCA is the possible migration of natural persons. As the information is lacking, there is a degree of confusion in the public space. Would you want to clarify on this? Basically, trade-in services are done through four modes. First one is you stay within the country and provide services—that is like BPO and KPO services. The second is you go to a country and get the services—like you go to Singapore and get health services. That is you go to the service provider and get the service and come back. The third, the service provider goes to a market with an investment and sets up operations. When India’s Apollo Hospitals came and set up a hospital in Narahenpita that was a mode three service because with that hospital, the services were given, some by Indian professionals and, largely by Sri Lankan medical professionals. Mode four is the presence of natural persons and there is a justifiable fear and this doesn’t only happen in Sri Lanka, this happened in every country when trade negotiations took place to open trade-in services. This happens when a person from one country goes to another country to seek employment. When European countries integrated under European Union, a person from France could go and work in Germany. That is the boldness of that integration. But of course in countries like Sri Lanka, it is difficult as the people still have that mentality of closeness, protectionism etc. In ETCA, mode four in principle is closed. "Ashroff Omar (Brandix) has a plant in Vishakahpatnam, India. He employs about 10,000 or so and how many Sri Lankans work there? Recently Mahesh Amalean (MAS Holdings) opened a factory in Vietnam. How many Sri Lankans would work there? They will hire Vietnamese in Vietnam and Indians in India. That is how business works"
Q That means are factor services completely out? Let me phrase it in this simple way. That is, presence of a natural person is not part of the agreement. Meaning, let’s say somebody starts a roads project in Sri Lanka and he wants to hire a structural engineer. If that person puts an ad in the and seeks applications for structural engineers, the Indian structural engineers cannot apply for this job after this agreement gets done. It is open for people who are Sri Lankan citizens or people who have valid visas to work in Sri Lanka and so on. The fear psychosis that has been created is that the jobs of Sri Lankan doctors, lawyers, engineers, IT professionals, barbers, beauticians, three-wheeler drivers etc. are at stake by ETCA, which is not clearly the case. I say this with responsibility as a minister of this government. This is the position articulated by the Prime Minister in his speech to Parliament a couple of days ago. Then some people may ask, why are you then talking about IT and maritime services? That is because if there is a request by various professional associations—not the ones that have mushroomed to protest against ETCA—but the accepted professional bodies, like the GMOA, IESL, SLIA, SLASSCOM etc. for some of their sub-sectors or limited areas within their professions, we are certainly open for discussion. If they see that lack of some expertise in their profession is limiting the expansion of their industry and the professional scope, they can seek assistance to bring in the required human capital. But let me tell you that discussion will only happen way after the framework agreement is signed. So in the current situation, what we are only trying to do is to sign the framework agreement and not an accord on the content of the final agreement. Q But once you enter into a framework agreement, aren’t you bound to sign a proper agreement? Yes we are. We want to sign a proper agreement. But we will not sign a proper agreement until and unless we have consulted widely all the professional bodies and having sought their views. If hey want certain sub sectors within their professions to be opened for limited number of people, we are certainly willing to discuss that, so that business can grow, so that we can create jobs locally. But let me stress that, in principle mode four is closed in ETCA. "Unilever is owned by an Anglo-Dutch company. But people working at Unilever are not Dutch or British. Nestle is a Swiss company. But how many Swiss nationals work there? People who work in these companies are Sri Lankans"
Q In 2002, when CEPA (Comprehensive Economic Partnership Agreement) was going on, the public knew who were negotiating on behalf of the country. There was a certain amount of openness and transparency in that whole process. Compared to that, why there is so much of secrecy looming over ETCA? No, I don’t think it should be construed in that manner. It is the Department of Commerce that is really the focal point in this negotiation. Now there is the Ministry of Development Strategies and International Trade under Minister Malk Samarawickrema. The Secretary of that ministry, the Department of Commerce and the designated agency for international trade are the people who are carrying out the initial discussions. I must also tell you that Minister Malik Samrawickrema had several meetings with various professional bodies, including the GMOA and sought their views. He told them to accept the current position of the government that this was only a framework agreement and the content would only be discussed after the framework agreement was signed. Q But Mr. Minister, there is very little debate on ETCA in the public domain. Only a couple of economists are talking about this. When you ask other economists in the country, what they say is they don’t have enough information to comment. So there seems to be some kind of an information deficiency. Isn’t it? Yes, we are bridging that gap. As a matter of fact, we gave the only official draft day before yesterday (February 23) to various professional organizations. "People took to the streets against CEPA, because it was sponsored by the regime. If you look at the people who took to the streets against CEPA, they were the people very close to the previous regime. They were just appendages of the regime itself"
I am sure that the GMOA would have got a copy by now. I personally gave one to FUTA (Federation of University Teachers Association of Sri Lanka). The existing draft—which is the draft for the framework agreement—is not in hiding. It is out there for interested parties to discuss. Q So if it is out in the public view, why hasn’t the Department of Commerce put it on their website, so that anyone interested can read? Yes, I think that is a good idea. I did not know that it was not on the website. I will personally ask them to do so. Q When the previous government was discussing an FTA with China, there wasn’t much of a protest against it. Was it because of the authoritarian way they used to handle things or the lack of suspicion our professionals had with regard to China compared to India? What was the geopolitics of that scenario? I think there were two reasons. One is, as you said, the authoritarian way of doing things. There was no freedom of speech. Journalists and various other groups were physically assaulted. People took to the steet against CEPA, because it was sponsored by the regime. If you look at the people who took to the streets against CEPA, they were the people very close to the previous regime. They were just appendages of the regime itself. These are perhaps the same people who are doing this now. At that time what we saw was ‘selective protests.’ If you protested for clean water you were shot dead. If you protested against the expropriation of the Employees’ Provident Fund you were shot dead. If you protested for the fuel subsidies for fishermen, you were shot dead. But if you were protesting against CEPA, you were given malu paan, bottles of arrack.You see, there were two different types of protests that had taken place. But now, under Yahapalanaya, in this democratic platform, people can protest. This is the freedom we have. This is the democracy we all fought to create. It is putting us in a bit of difficulty, but I believe, at the end of the day, through discussions with all the professional bodies, we will have an agreement that we all support. This is the good thing about this whole process. Q Minister Malik Samarawickrema’s Ministry in a statement in December last year, said plans were on to sign the framework agreement by February and ETCA by mid this year. (http://www.dailymirror.lk/101131/sri-lanka-to-sign-etca-framework-agreement-with-india-by-february). Do you think such a short time period of four months enough for this kind of complex trade negotiations? Minister Malik never said that. What he said was by about June, we would try to enter into the framework agreement. After we enter the framework agreement, it could take six months, one year or it might event take two years. Trade negotiation agreements are not easy. It will take time, but genuine efforts must be made to enter into an agreement, so that the markets can be expanded and investments can flow in. We want Indian investors to set up factories here. We want high quality Indian software houses here. We want to create jobs for our people. Like I was telling earlier, Unilever is owned by an Anglo-Dutch company. But people working at Unilever are not Dutch or British. Nestle is a Swiss company. But how many Swiss nationals work there? People who work in these companies are Sri Lankans. You speak to any businessman and they will tell you that’s how it works. Ashroff Omar (Brandix) has a plant in Vishakahpatnam, India. He employs about 10,000 or so and how many Sri Lankans work there? Recently Mahesh Amalean (MAS Holdings) opened a factory in Vietnam. How many Sri Lankans would work there? They will hire Vietnamese in Vietnam and Indians in India. That is how business works. So this is an unfounded psychosis that has been created in the minds of unsuspecting people through various false stories due to the unfortunate lack of communication that took place during the time. QDon’t you think your government’s approach of ‘we know what is good for you’ to this whole thing needs to be reworked? Unlike earlier, people receive information through so many channels. As a result they are well informed. This may have not the case 20 or 30 years earlier. Giving your government the due credit, compared to what the previous government did, don’t you think that there is lot more work to do from the Yahapalana government’s side putting the information out? After all, the policy belongs to the people and not to the government. We are fully aware of that. We know that the educated people, the middle class and the professionals supported that. I represent Sri Lanka’s model middle class electorate of Kotte. I don’t want to let down the professionals who voted for me. I can also take the silent approach—like some politicians do—and not talk about it, so therefore no one knows what your position is. That’s the easy way out. I am not doing politics for the easy way out. I am doing politics from my heart. I have come to do this not because I have nothing else to do. I have sacrificed my time and am putting in everything I have to make sure that we take Sri Lanka where it belongs. It is difficult to convince people that some of the things that we are trying to do are ultimately good for them. When we were growing up, our parents told us to eat carrots and drink our milk, saying they were good for us. But we said we didn’t like carrots and asked for chocolates. I am not trying to say people don’t know. The Internet is there and they can Google-search and find anything they want. But in a democratic political framework, it is difficult because there is Opposition; some rightly and some not so rightly. So people like myself will engage people. You know, my facebook is the most engaging of any politician in Sri Lanka. That is the new kind of engagement. I am not doing it as Harsha de Silva. I am doing it as a member of the Sirisena-Wickremesinghe government. So we are open; we are all professionals; we all want to do well. We will not put professionals in trouble. Take my word. We will not enter into agreements that put the livelihoods of our professionals in danger. Professionals do not fear. I am also a professional. I have one sibling. She is a consultant paediatrician. She asks me every day that ‘aiya is it true that you guys are going to open and all these doctors from Indian are going to come in?’ I say no, it is not true. But we have to think big. We need investors; we need new jobs.